Chorea is characterized by involuntary, brief, unpredictable, and random hyperkinetic movements. 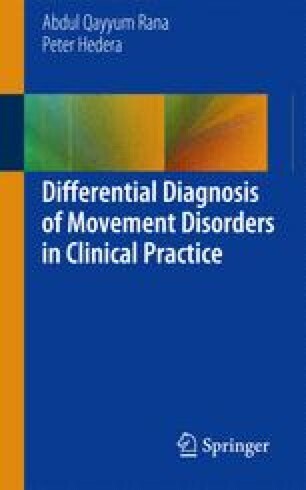 This chapter reviews main clinical characteristics of chorea and similar hyperkinetic movements and their most common causes. We describe characteristic phenotypic features of chorea-causing conditions, their differential diagnosis, and most useful clinical work-up, including genetic testing. We also discuss most typical clinical presentation of the most common types of chorea, especially Huntington’s disease with its motor and non-motor symptoms and signs, and main therapeutic options. Additional emphasis is on treatable causes of chorea, such as Sydenham chorea and Wilson’s disease.